Pigs and kids. 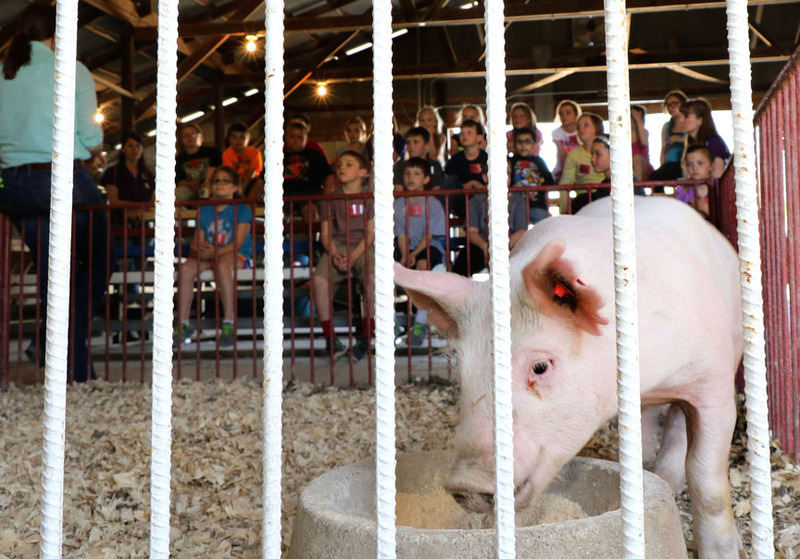 A small pig snacks at food bowl while extension educator Rachel Slattery talks with Blair third grade students about how pigs are raised on farms in rural Nebraska. Each spring, 650 third grade students from schools in Washington, Dodge, Saunders and Douglas counties attended the Ag Literacy Festival at the Washington County Fairgrounds. In addition to pigs and pork, the students attended presentations on dairy and beef cattle, corn and soy bean production and products, and agriculture technology.